15-foot "Euro" style detachable AC power cord for White Lightning, AlienBees, Zeus and Einstein flash units. This 15-foot AC power cord is the standard cord supplied with White Lightning, AlienBees and Einstein flash units, and Zeus power packs. 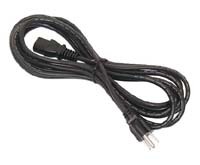 A longer 25-foot cord is also available - please see the separate listing. 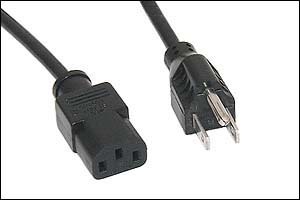 These 120V cords are an IEC 320 type with grounded plug that can be used with other flash units and electronic devices that have the familiar C14 type power cord socket.